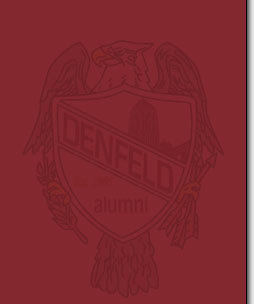 Give the Denfeld Alumni Association the freedom and flexibility to allocate your gift to its most urgent projects and respond to new opportunities as they arise. You can contribute directly to the project of your choice by simply declaring your intent when you make your donation. Contribute to an endowment fund supporting scholarships for Denfeld High School seniors who are pursuing a higher education. Denfeld’s once magnificent pipe organ has fallen into major disrepair, and funds are needed to restore it. 401 N. 44th Ave. W.
To discuss a gift to the alumni association, contact Claudia Anderson, secretary to Denfeld’s principal, at 218-336-8830 (ext. 1925).